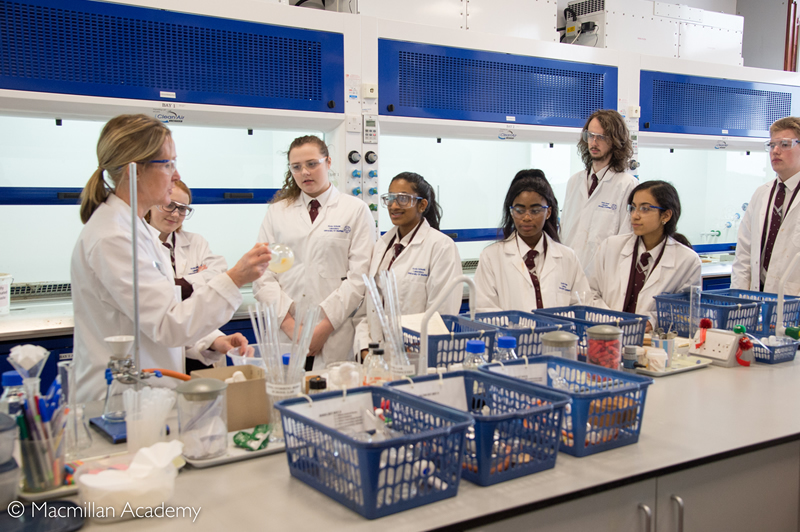 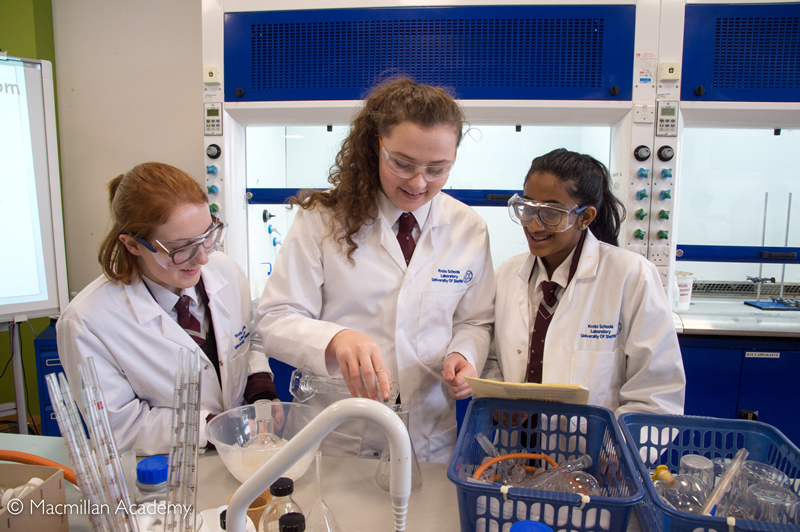 The top chemists in Year 10 visited the University of Sheffield for a trip called 'The Smell of Chemistry'. 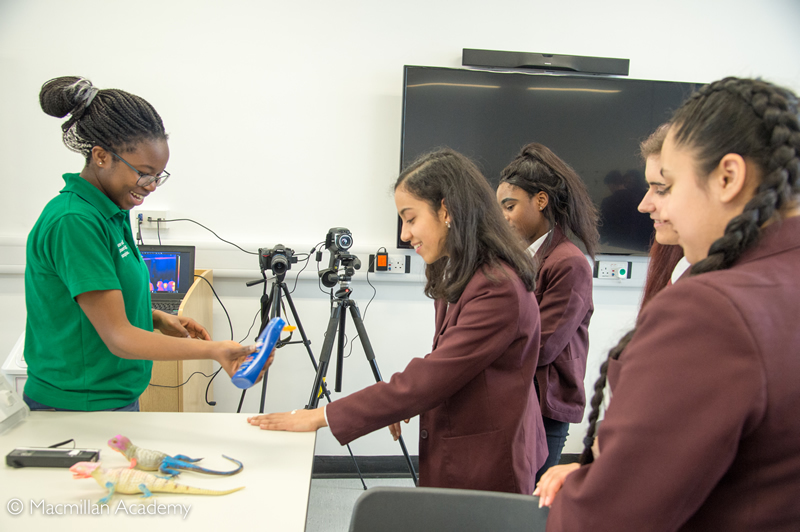 The students participated in two interactive workshops in the university laboratory spaces. 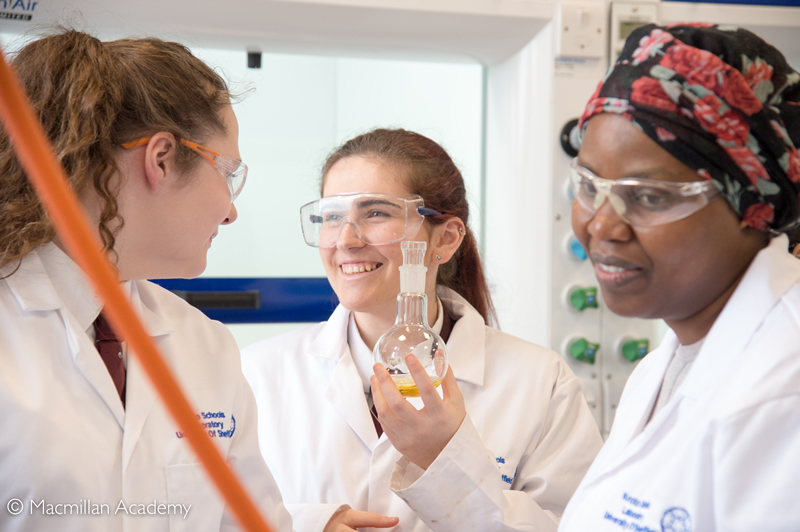 In the first workshop, students enhanced their practical laboratory skills and learned the techniques used to isolate a natural product called trimyristin from nutmeg; this compound is used in the synthesis of cosmetics, toiletries and soaps. 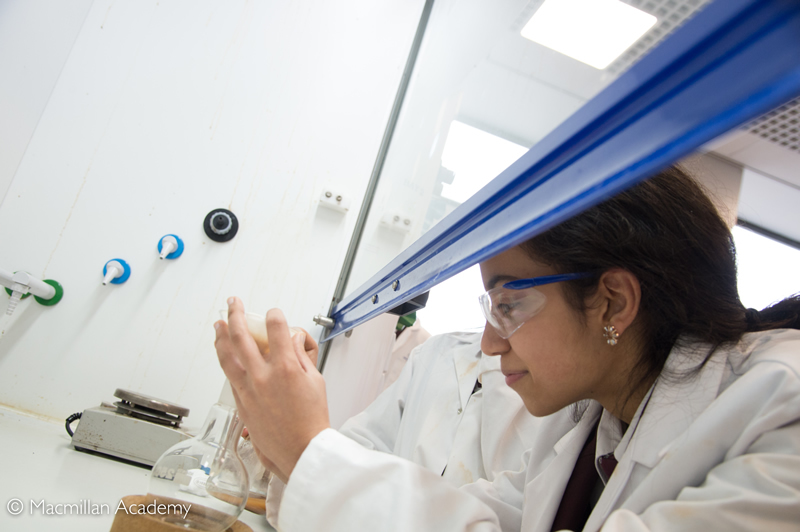 The practical activity involved filtration, evaporation and recrystallization to purify the substance. 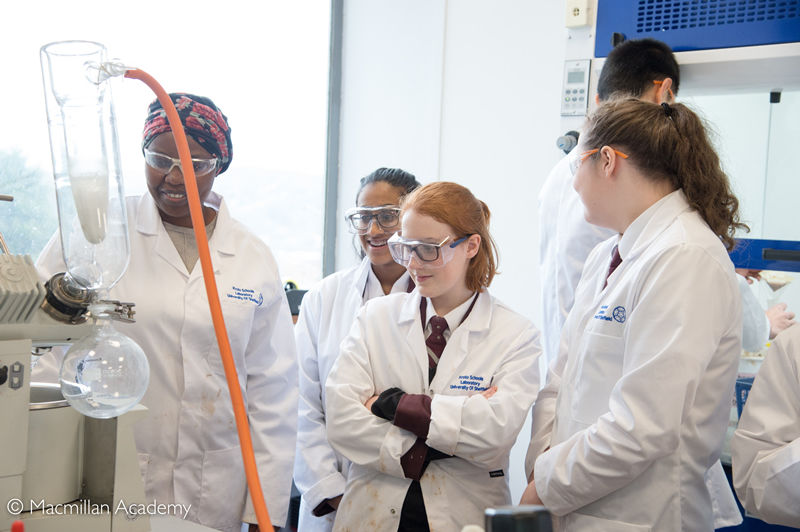 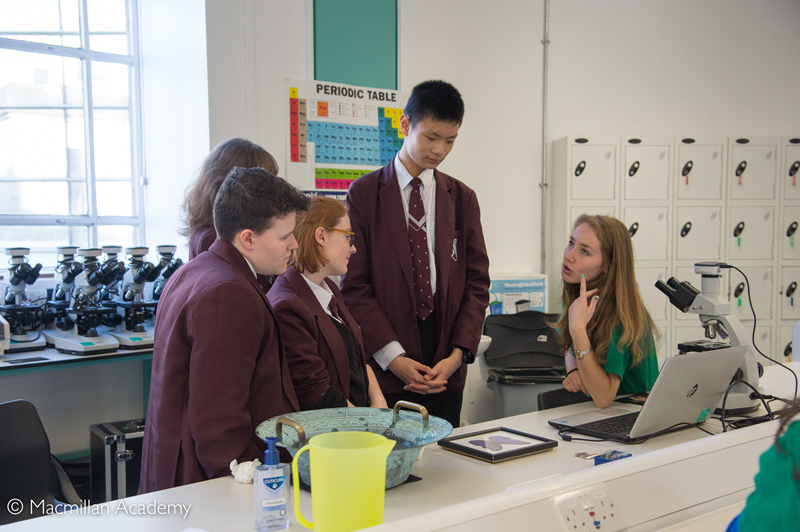 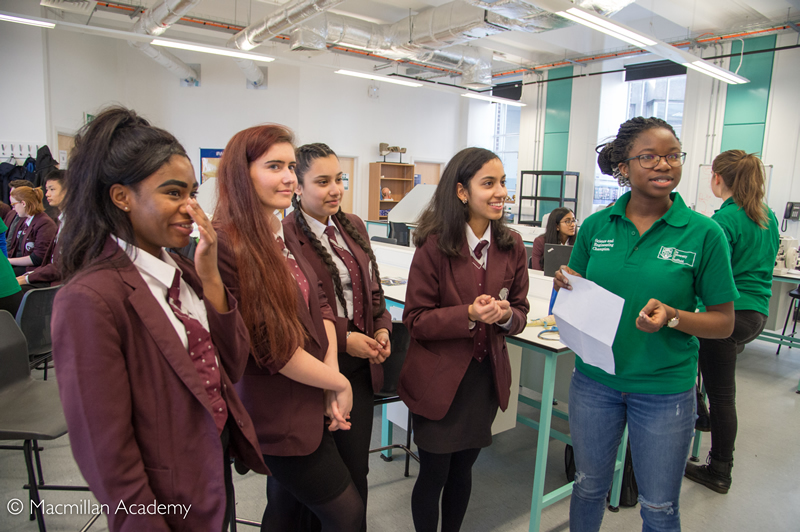 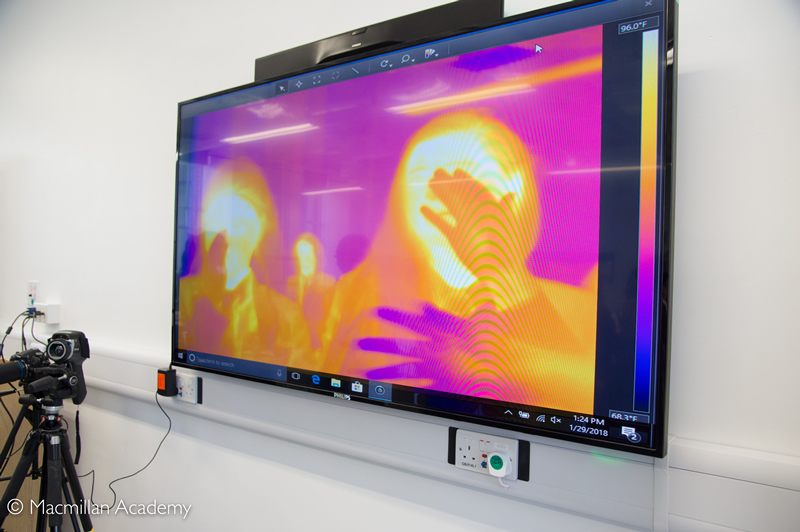 The second workshop gave pupils a chance to learn more about what it's like to study science at university, meet current students and try some hands-on activities to learn more about the science departments at the University of Sheffield.